Let us IDX Matrix improves you Lead Managment! Let us IDX Matrix improves you Lead Management! Are you dealing with a lot of leads? We understand how much it could be tough to deal with a lot of deals at a time and can easily get lost in a large database. What’s the solution? Well, the solution is Lead Status! Yes, you can assign a status to each lead, which allows you to filter your leads and work with the most relevant of your business needs. IDX Matrix has introduced a CRM which helps you to capture all the leads and stored them in CRM. When you get our CRM, every new lead is assigned with a sale status of “New.” While those leads which are not converted into deal get status of “Unqualified.” Our system makes things a lot easier. 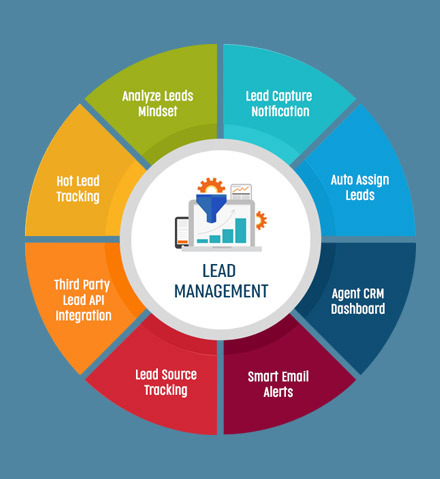 Custom statuses With the use of lead analysis tools which are already integrated in IDX Matrix CRM, Agent can change the lead status to custom status, which intern helps to track the leads. These work same like the default ones. You can filter and search your contacts and can improve Lead Management. Ultimate Solution! We offer businesses with an opportunity to let them maintain the lead statuses according to the response. For instance, if any of the lead is frequently visiting the website and so rapidly responding to all the communication channel, then the lead status will set as “Hot.” Users have multiple options to update the status of lead such as “WATCH|QUALIFY|NURTURE” everything respect to leads response. Our team of experts helps you to focus on more “good” sales leads—those who require attention, follow-up and the relationship building are ignored. How many leads do you have right now? What’s the status of those leads? From where those leads are coming from? Who needs to be called for today? IDX Matrix real estate CRM software helps you to manage your pipeline data with visual graphs and charts which are easy to understand. Now don’t wait and take a quick decision for growing your business.